There have been a number of requests asking for more information about Google Apps / G-Suite so I thought that it would make sense to write some blog posts that would help explain it. If you have any questions, email me and I will update this post or add it to future posts. Just for some context, I attended the Google Teacher Academy in London in 2010 and 2012, I also completed the Google Education Certified Teacher and Trainer qualifications and have used Google Apps since around 2010 in different schools. So, what is G-suite for Education? G-suite is the name given to a selection of tools provided by Google. This used to be known as Google Apps. In the old days, Google Apps was the set of tools and then there were Google Apps for Education and Google Apps for Business versions. Now, it’s mainly known as G-Suite. These posts will focus on the use of the Educaion side of GSuite rather than using it for personal uses. Primarily, G-Suite incorporates Gmail, Google Drive and Google Calendars. Gmail is the email tool provided by Google which I am sure many of you are familiar with. Google Drive gives users online documents, presentations and spreadsheets. These are all stored in the cloud and are accessed by signing in with your email address. Think of Google Drive as the home for all of these tools. Documents can be stored online and storage is practically unlimited. These tools also offer real-time collaboration for a number of users at the same time. Depending on the settings that you use, users could edit each other’s work or add comments. This could be powerful if Child A creates a piece of work, shared it with Child B and they then comment (peer-assess) Child A’s writing. Or how about having 4 children working on a shared presentation where there is one document but all 4 are able to view and edit it on their own device. They could each have a different part of the project to work on, while still using their own laptop. You could use spreadsheets for data collection and handling. One spreadsheet could be shared with a whole class and they could then all add their own information on the same page without having 30 different pages. Think about exercising and collecting heart rates or seeing how far children have jumped, each child inputs their data but can see everyone’s data on their screen. Ooooh. Are there any other tools? Loads, having a Google account opens up a world of opportunities. 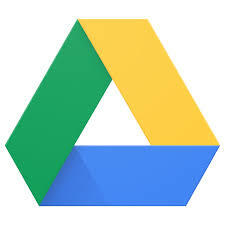 There are a range of tools that can be linked to Google Drive. For example, you could add a picture editor that signs children in with their Gsuite login and then when the children edit their work, it saves it back to Drive. One of the main additional tools is Google Classroom which gives you the chance to create classes to share links, videos, documents and more with the children. This helps keep all of the “stuff” for a class in one place. So do all of the children need email addresses? Yes. Even if you decide to turn off the actual email features of GSuite, they will all need a username which will double as their email address. The school will need to create a domain for GSuite which can be done during the sign-up process. This is the bit after the “@” in an email address, for example, ridersapps.co.uk and then all accounts will be mickeymouse@ridersapps.co.uk or bobthebuilder@ridersapps.co.uk. I’ll talk about using the email tools safely in a future post. You can use the Google Drive tools as an individual using your gmail address or whatever, but by setting up the domain, you/the school have full control over the users, the classes and the tools available to pupils. Nowt. The GSuite set of tools is free for educational users. There is a small cost (under £10 a year) for the domain address but nothing for the actual tools. Do I need to use special equipment? Nope. GSuite works on laptops, tablets and chromebooks. On mobile devices, there are apps to download to improve the experience. If using computers/laptops, I would always recommend using Google Chrome rather than Internet Explorer/Edge as it just seems to work better. You don’t neeeeed to use chromebooks, but combining the GSuite with chromebooks does help as the GSuite admin tools gives you the power to control the chromebooks and manage their settings etc. Adding chromebooks to your domain costs £19 per device. This is well worth doing as it gives you a lot more control. I’ll cover chromebook management in another post. Click here to visit the GSuite sign-up page. In my next post, I’ll talk through all of the steps to set up your own domain and show how you can get demo accounts on this domain too. Contact me or comment on this post. I will do my best to add them into future posts. Posts about Google Apps can be found on this page here.